Become part of one of the world’s most exclusive clubs by replacing your Aston Martin car key with a Senturion Key. Our one-of-a-kind wristwear is handcrafted using precious metals, the finest leather and even four-billion-year-old meteorite to create one-of-a-kind pieces that allow you to wear your supercar on your wrist. 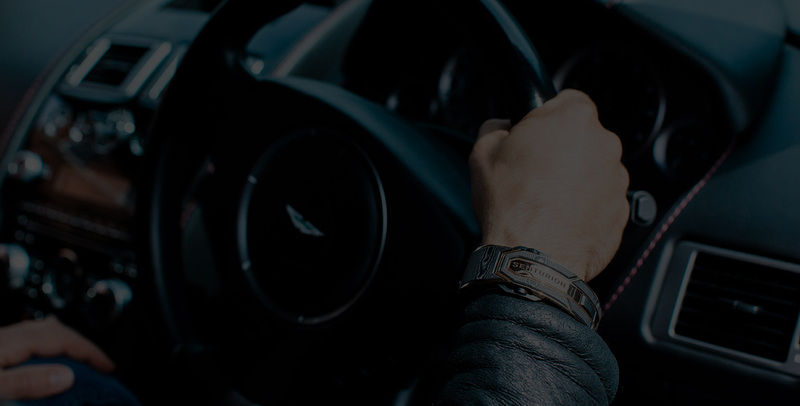 We are the first and only creator of luxury wristwear that uses the latest radio-frequency identification (RFID) technology to sync with your supercar and become your beautiful new Aston Martin key. Every piece we create is part of a limited edition of just seven, and with no two designs ever exactly the same, you can be sure your wristwear is entirely unique. Just a few of our designs include the black gold, carbon fibre and ceramic Vanta, the platinum and blue sapphire Azure and the black gold Vulcan with solid meteorite core. You can also customise your replacement Aston Martin car key online or book an appointment at our showroom to discuss your personalisation options.